The Bundanoon History Group (BHG) holds an extensive collection of photographs and written and oral history material, and arranges regular outings to local places of historical interest. 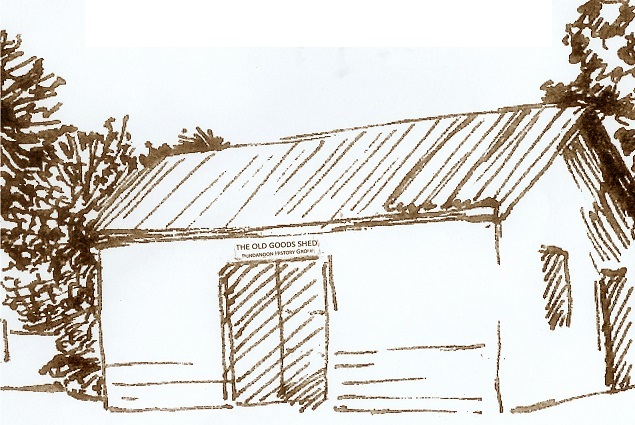 The Old Goods Shed in Railway Avenue holds the BHG archive, and is open on the first and third Sunday of each month from 10.00am to 3.00pm, also on Brigadoon and Garden Ramble weekends, or by appointment. New Display: Bundanoon – a hundred years in pictures. Journey back in time from an aerial view in 2000 to the Pre-Brigadoon days of the Boronia Festival in the 1960s. 1920-1940 was the guest house era. The climate was different too, with lots of snow. Before the Soldiers Memorial Hall opened in 1935 pigeons raced from this spot to Sydney. It was ‘Hats on!’ for these school children in 1910. A bauxite crushing plant and a few mystery photos will keep you enthralled.